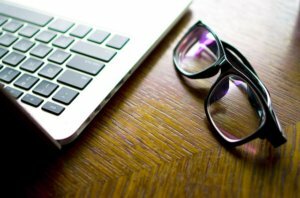 From website accessibility standards for the blind to considering the effects of flashing graphics on those prone to seizures or migraines, your business can’t afford to ignore website compliance concerns. Yikes, even thinking about the word “compliance” sounds like an unpleasant topic, but as a business owner, you need to make sure every aspect of your business is as accessible as it can be for your audience. Considering your website’s approachability and practicality is no different. Certain types of compliance might depend on your industry, but here’s a quick review of what you need to know to make sure you’re covered when it comes to fair access. When you think about compliance with the American Disabilities Act (ADA), maybe you think about wheelchair accessibility for public spaces or braille instructions on an ATM, but even websites need to consider their accessibility. The ADA itself is not focused on the web; however, the nondiscrimination requirements of Title II and Title III of the ADA apply to state and local government websites, as well as businesses and nonprofit service providers, requiring that accommodations are made to enable the same level of service for all patrons, including those with disabilities. From font size to color contrast to alternate tags on images, there is a lot that can be done to bring a powerful website to everyone, no matter who they are. Similar to ADA Compliance, 508 Compliance refers to Section 508 of the Rehabilitation Act of 1973, which was updated in 1998 to require Federal agencies to make their electronic and information technology accessible to people with disabilities. Updated accessibility requirements were made in January of 2017, with final rules going into effect January 18, 2018, which established requirements in line with international standards, such as those followed by the European Commission as well as the World Wide Web Consortium’s (W3C) Web Content Accessibility Guidelines (WCAG 2.0). Web Content Accessibility Guidelines (WCAG) is focused on the same accessibility efforts of ADA and 508 Compliance; however, it is an international set of guidelines that follows the World Wide Web Consortium (W3C) process for developing web standards. WCAG 1.0 was first published in 1998, and its latest update, WCAG 2.1, is in development and is expected to be published as a standard in 2018. What is your takeaway from all of this? The subtleties of the recommendations that fall under ADA, 508, and WCAG Compliance may change from year to year, but it is your job as a business owner to do the best that you can with these guidelines. Not all websites are automatically developed considering any of these compliance regulations. You need to have a conversation with your web developer or your IT department to make sure fair accessibility is on your list. Platforms like WordPress and Magento largely follow many compliance rules, but not all. If you want your business to be thoughtful, friendly, and fair, make sure ADA, 508, or WCAG Compliance is on your development list. At Midlothian Web Solutions, we’re happy to answer any questions about compliance development concerns. Contact us today.